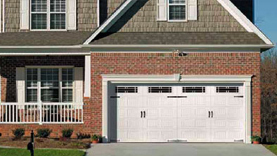 We're a garage door company that provides residential garage door repair, commercial doors, operators, service and installation services throughout Maryland. 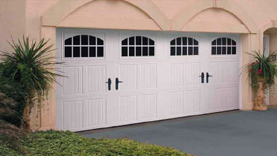 Since 2000, we have been putting our customers first by providing outstanding service at reasonable prices with expertise of over 20 years in the garage door industry. As a trusted garage door contractor for Sears and Lowes, as well as a certified Clopay and Amarr dealer, we can service, repair or replace any door or garage door operator manufactured today. For a quick quote, contact us or call 410-540-9637 to speak with a member of our knowledgeable staff. Automatic Doorz is a local Howard County garage door company that has been in business since 2000. We strive to offer our customers the highest quality service at reasonable prices! In addition to offering outstanding workmanship, our staff is friendly and eager to answer any of your questions at 410-540-9637. Every service vehicle is equipped with a GPS guidance unit so there is no hassle with directions and no excuses for not being on time. Every member of our service crew has been given an extensive background check, so you can have peace of mind. Every service member has a minimum of 5 years experience repairing and installing garage doors and openers. Our quotes are guaranteed with no hidden cost. We have the highest commitment to fast and fair service. We also serve: Anne Arundel County, Prince George's County, and Montgomery County including: Frederick, Baltimore, Laurel, Annapolis, Towson, and Owings Mills!